Whether this is your first trip together or you’re heading off to celebrate your 60th wedding anniversary, a couple’s holiday is the perfect way to discover new places and make lasting memories. You and your significant other could well be the most laid-back couple in the world but when it comes to going abroad, tensions can flare – especially when it comes to packing the suitcase! So, with this in mind we have put together everything you need to know about planning your couple’s holiday. Whether you’re planning a short break to the Cotswold’s or a once-in-a-lifetime holiday, agreeing a budget with your partner is key when it comes to planning your break. Once you have agreed on a budget (don’t forget to include spending money!) you can start looking at suitable destinations and trip types. For most a holiday begins at the airport so if your budget allows it may be a nice touch for you to upgrade to the airport lounge, particularly if you are going long haul. Just imagine sitting in a comfortable chair watching your favourite TV show, enjoying your complimentary breakfast… surely that beats the long queues in the airports, right?! Also, you can get some great deals online for airport lounges so this may be something to look out for. Even if you and your partner are planning to only spend your holiday lounging on the beach, it is still a good idea to set an itinerary – especially if you are not all-inclusive and need to self-cater. Once you have chosen your destination, spend some time researching the local area and look for restaurants, bars and attractions. TripAdvisor is a firm favourite when it comes to research locations as you are able to see the reviews and recommendations of other holidaymakers. Another thing to consider when setting your itinerary is ‘me time’. It is not very often a couple will spend every waking moment with each other, so having to do so on holiday can get intense. With this in mind it is a good idea for you to book some time apart in the itinerary, even if it’s just five minutes a day where you stick your nose in a book or check out the cute boutique – it can make all the difference! For us, the most stressful part of going on holiday is having to pack the suitcase so we can only imagine the stress levels when packing for two people. Having said that, we have some tips that you and your partner may find useful. Splitting your packing is a useful habit to get into for any trip you take with another person. If you and your partner are planning to take separate luggage it is a good idea to split clothing and accessories between both cases. This way, if one case was to go missing in the airport you will both have enough clothing. Asking your loved one to spend the rest of their life with you on a picturesque beach with champagne nearby just screams romance, right?! If you’re planning on taking an engagement ring abroad, we recommend you check your travel insurance policy and make sure the ‘valuable’ section under personal possessions is high enough to cover the cost of the ring if it is lost or stolen – if the cover isn’t high enough, it may be a good idea to add the ring to your home insurance. What is Couple’s Travel Insurance? We know that travel insurance can be a minefield and finding a travel insurance policy to suit both yours and your partners needs can be tricky. The best place to start is by looking for a couple’s travel insurance policy as these policies are designed to provide you both with the same level of cover. Most travel insurance companies will also offer a discount on couple’s policies so keep an eye out for this! Depending on the company you chose to buy your travel insurance with, you may have to pass an eligibility criteria for a couple’s policy. Normally, an insurer will ask if you and your partner have been living together for six months or longer but this will differ from provider to provider. Who is a couple’s travel insurance policy suitable for? A couple’s travel insurance policy is suitable for, well couples! But bear in mind the eligibility criteria mentioned above. When buying your couple’s travel insurance, you may also find that the policy is available on both single trip and multi trip insurance, but which one is more suited to you and your partner? A couple’s single trip policy is perfect if you are looking at taking a one-off trip lasting a week or so. If you and your partner have several trips booked within a twelve-month period you may find it is more cost-effective to buy a couple’s multi trip policy. A couple’s multi-trip policy will cover unlimited trips to and from the UK (and within the UK) for twelve-months but be sure to check the single trip duration limit; most travel insurers cover up to 31-days per trip, however some only offer 24 days, whereas others will offer as many as 45 or 60-days per trip, so something to check on the policy you buy. Adventurous couples (or just couples that want to holiday for longer than your usual two or three weeks) should look at a couple’s longstay policy. These policies are designed to cover trips that are one month or longer and can last up to two years. What is covered under my couple’s travel insurance policy? When buying your travel insurance it is important to remember there is no one size fits all. The cover available under your couple’s travel insurance policy will depend solely on the travel insurer and selected policy. Having said that, most travel insurers will offer cover for cancellation, personal possessions and medical expenses as standard – just be sure to check the cover limits are suitable for your trip. If you and your partner are planning to take part in a few activities whilst you’re away, make sure they are covered under your travel insurance. 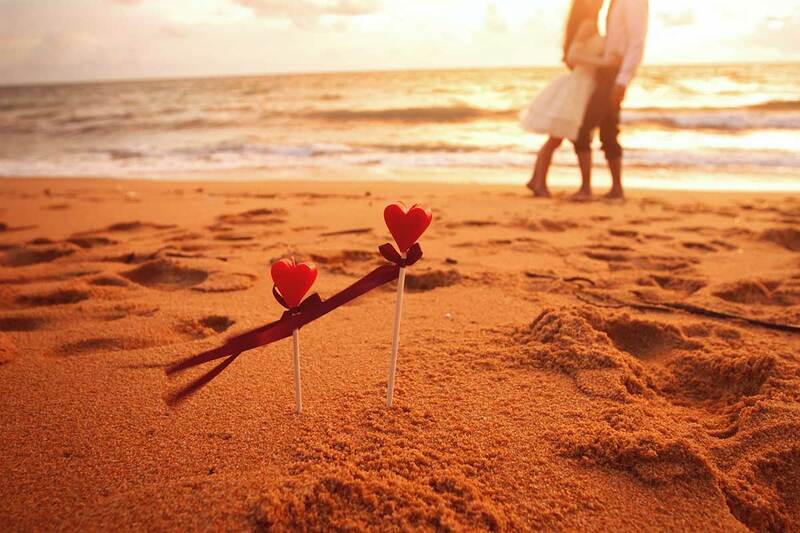 Most couples travel insurance policies will cover a select amount of activities as standard and offer activity packs for those that are a little riskier, which can be added to most policies for an additional premium. Whilst it may not be compulsory to buy cover for your activity, if you required emergency medical attention as a result of the activity and didn’t have the appropriate cover you will have to pay all associated expenses. Whilst we’re speaking about activities, we all have spontaneous moments – right?! Some travel insurers will allow you to add on activities on an ad-hoc basis once you have left the country – and will only charge a premium for the person taking part in the activity. Something to consider when looking for a travel insurance provider. On the other hand, if you and your partner just want to lounge on the beach and indulge in book or two, that’s fine too – just remember the sun cream! Whilst you’re exploring on holiday it is likely you will want to snap some memories to show others when you return home. But wait, is that smart phone covered? Gadgets, including phones, camera’s, music players and laptops, etc., are not usually covered as standard; there are a few travel insurers that will offer this cover but most will ask for an additional premium to be paid for a gadget extension. If you are taking gadgets with you, you can check if these are covered for any theft, loss or damage outside of the UK under your travel insurance. If not, and you would like cover on yours and your partners gadgets under your travel insurance, make sure you check the single article limit (the cover may state ‘up to £1,500’ but this is usually broken down into single article limits where each item i.e. smart phone/camera has a limit of £500.00) as it may not be high enough to cover your gadgets. Also, look out for age limits – some travel insurance companies will not cover gadgets that are over two years old. It is important to note, both you and your partner don’t necessarily need to be insured under the same policy but by buying a couple’s travel insurance policy you can ensure that if one of you needed to cancel the holiday or need to return home early you would both be covered – this may not be the case if you were to buy cover with separate insurers. Depending on your health, you or your partner may need to complete a medical declaration. The medical declaration can be completed by either you or your partner but if you are completing it on their behalf you must make sure you have their permission and have accurate, up to date medical information. Once you have completed the quote, the documents will be sent through to you so it may be worth checking them through with your partner just to make sure. If this is your first holiday together, why not look at booking a trial weekend first? Holiday’s can be stressful so you don’t want to over-load stress onto your relationship. See how you get on spending a few days together. Sorry to be a kill-joy, but try not to drink too much alcohol. One of you may wake up feeling absolutely fine in the morning whereas the other will not want to move from the bed and before you know it irritation has taken over. Be prepared to compromise when it comes to the itinerary. There may be something that your significant other really wants to do or see and although it may not be your cup of tea just go with it – you’ll probably really enjoy it! Plan activities that require you to work as team such as rock climbing or hiking. Not only will you be able to create memories with each other, it will help you bond as a couple and lean on each other when the activity becomes challenging. Ask your partner what they would like to do on the trip. When visiting a new place is can be easy to list everywhere you want to visit, but there may be somewhere your partner is dying to visit so be prepared to compromise. Don’t put all of your trust into the ‘tourist traps’. Most of the time these attractions are overpriced and, let’s face it, a bit of a let down so if you are looking to go for a romantic meal or a quieter spot to spend the day, ask the locals. If this is a spur of the moment couple’s holiday you may be struggling to decide where you would like to go, so here’s our top destinations for couples. The perfect romantic city break destination. Couples hoping for a short, romantic break should look no further than Paris. With incredible views from the Eiffel Tower, Notre Dame, the chic Champs-Elysees, fine wine and world-famous cuisine this location is oozing romantic city break. After a day of exploring Parisian culture head to the infamous Moulin Rouge. The home of blue roofed buildings. Greece is the perfect location for couples looking to discover culture, explore hidden towns and lounge on sandy shores but Santorini in particular has a little more to offer. The infamous white walled, blue roofed houses make the scenery truly picturesque, especially as the sun sets over the ocean. For hiking trails as far as the eyes can see, quaint local pubs and activities at every turn, head to the Lake District. Spend your days exploring the countryside and your evenings wandering around the cobbled villages before settling in front of the log fire. As the Lake District is based in the UK it is ideal for a weekend break or a longer relaxing break. This location offers far more than just skiing. Enjoy the incredible picturesque scenery of the Austrian Alps whilst trying your hand at a range of activities. From walking and cycling to water sports and boat trips Austria has something to offer every couple. If you need a break from the activities head over to Salzburg and indulge in a hot coffee in one of many quaint coffee shops. The birthplace of Jazz and fine dining. New Orleans, located in the state of Louisiana, is a haven for music, shopping, culture and over 1,400 eateries. Whether you decide to stay in the historic French Quarter or vibrant Downtown New Orleans has something to offer every couple. Not to mention, The Vampire Diaries and The Originals fanatics will feel right at home exploring the vampire’s hometown. The best party island in Europe. Anyone who has heard of Ibiza will have heard of the infamous ‘Strip’. With nightclubs at every turn housing some of the world’s best DJs this island is perfect for couple’s that are looking to party the night away. During the day head one of Ibiza’s white sand beaches and perhaps try your hand at some water sports. Fly and Flop or party all night, it’s your choice. If you and your partner are looking to stay closer to home, Tenerife is an ideal location. With golden shores, crystal waters and secluded towns to explore by day and vibrant nightlife ready and waiting come dusk you have the choice of a little bit of everything. Tenerife is popular for couples and families and certainly will not disappoint. Did someone say luxury? The Maldives is waiting. Private bungalows, yacht parties, rooftop beds and your own personal butler – it really doesn’t get better than this. For a holiday like no other head to Gili Lankanfushi in the prestigious Maldives and sample a taste of what it’s like to discover true bliss. For couples who fancy adventure, the Maldives is a haven for watersports and snorkelling. Q. On a couple’s travel insurance policy is the cover per person? A. Yes, generally speaking if you are taking out a couple’s travel insurance the cover levels will be per person but always check the terms and conditions as this may differ between insurers. Q. Am I covered if my partner can’t go on the holiday? A. Most travel insurance policies will cover you if you are unable to go on your trip due to your partner falling ill. Cover for cancellation not due to an illness may be limited on some policies so if this is something you are concerned about look for a policy that will offer cover for cancellation for any reason which you could not foresee. Q. Do I have to travel with my partner on a couple’s multi-trip policy? A. No. If you are both insured on the same multi-trip policy you can travel independently. Q. What counts as a couple? A. Generally speaking most travel insurance policies will count a couple as two people in a relationship that have been living at the same address for six months or longer. *Disclaimer. Travel Insurance Explained is in no way affiliated to any of the companies mentioned in this guide – we just think they’re great and could help you to plan the ultimate group holiday!